Pam and her husband acquired the 29 acre Tenuta Acquazzolo, near Sinalunga Italy, in 2005. 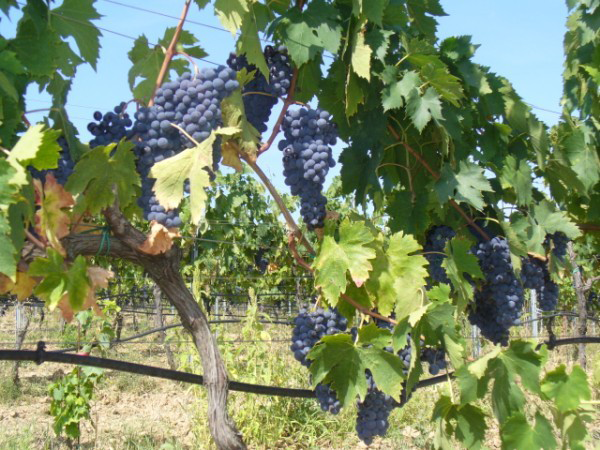 At the time of acquisition, 11 of the Tenuta’s acres were planted in old growth Sangiovese and Malvasia. The hills above the vineyards are dappled with olives and a bosco, or forest, with a bubbling intermittent stream, is nestled below. An 1860’s stone farmhouse, with its original production cellar, stands guard from the hilltop, ensuring the Tuscan sun rises each morning to nourish Acqauazzolo’s vines. The Barksdales contracted with the seller to produce the first two vintages and assumed operations in 2007. They spent the first two years carefully assembling a wine making team and working with local government to obtain permits to restore the house. In 2008, they removed ¾ of the old growth vines and replanted with Cabernet Sauvignon, Cabernet Franc and Petit Verdot. Those vines are maturing and produced their first fruit, though in limited quantity, this year. The Acquazzolo team anticipates bottling the estate’s first Super Tuscan in 2012. Vin Santo has been produced since 2009 and is currently aging in caratelli. In meritorious years, the estate also plans to produce a Chianti Riserva and a Cabernet Sauvignon. Restoration of the farmhouse should commence in 2012. The Barksdales are excited to watch their dream to produce excellent wines that reflect both ancient Tuscan roots and a modern sense of elegance come to fruition. Sounds great! Next time I am over I will try to squeeze in a visit, if that is cool!